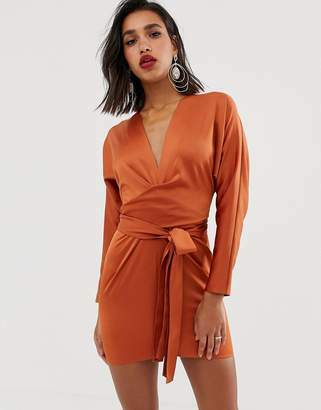 Mini dress by ASOS DESIGN, For that thing you have to go to, Fully lined, Lightly textured finish, Bandeau design, Draped insert, Zip-back fastening, Slim fit, Cut close to the body. This is ASOS DESIGN your go-to for all the latest trends, no matter who you are, where you're from and what you're up to. Exclusive to ASOS, our universal brand is here for you, and comes in all our fit ranges: ASOS Curve, Tall, Petite and Maternity. Created by us, styled by you.